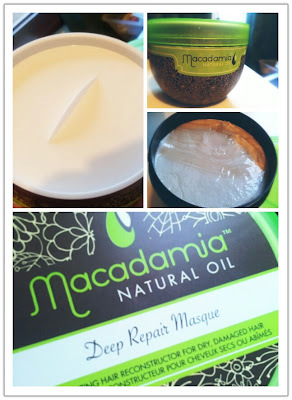 I first learned about this hair care product through another blogger and was immediately interested in it. My hair has been through so much damage (dyeing, blow drying, straightening & curling blah so much ==) so I had been on the lookout for a haircare product. According to the website, it states: "Our Deep Repair Masque is a hair reconstructor that will penetrate and rebuild damaged hair for improved shine and elasticity. Liberally comb through clean, wet hair and allow up to seven (7) minutes of penetration before rinsing. I use my hands/fingers to scoop out the product then apply to my hair. Applying is pretty easy and isn't messy. The tricky thing about the instructions it doesn't say whether to wash out with warm or cold water...so I've been using cold water to rinse it, since I heard cold water can help make your hair less frizzy. After I wash out, my hair is SUPERRR SMOOTH & SILKY! I love how amazing and lovely my hair feels after using it but I'm not going to repurchase. I'm certain there are other haircare products that can do the same thing for a lower price.